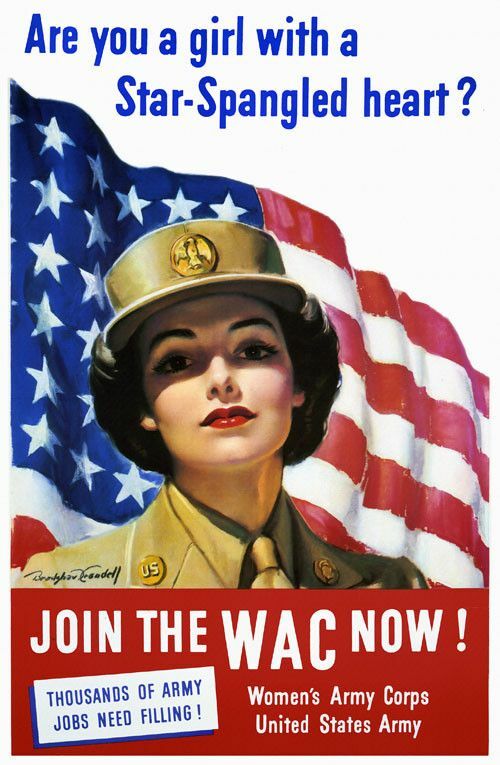 The men and women of the WWII generation set the gold standard for individual courage, shared sacrifice, service to community and country, responsible global leadership, and national unity that continues to inspire America and the world. 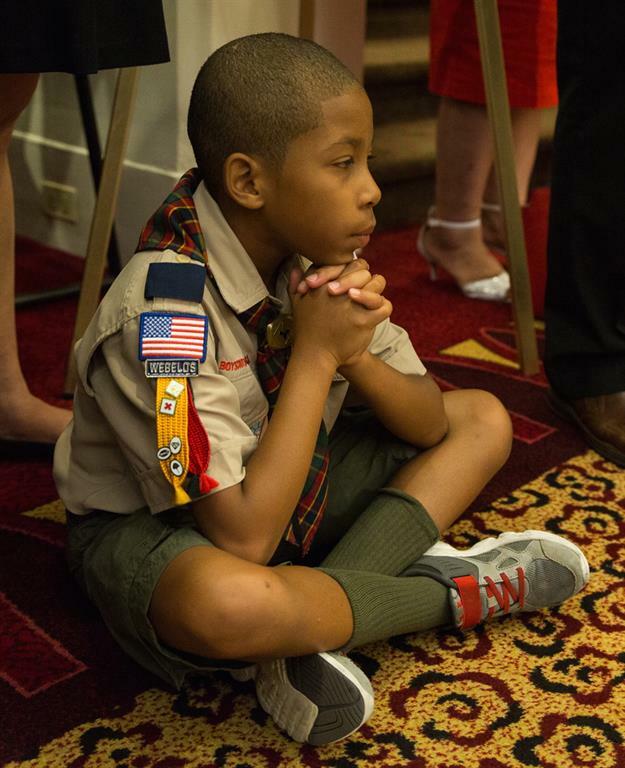 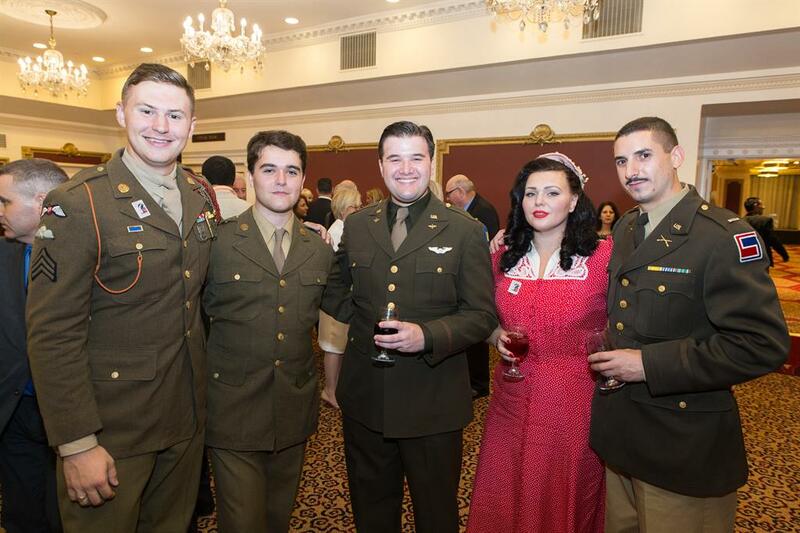 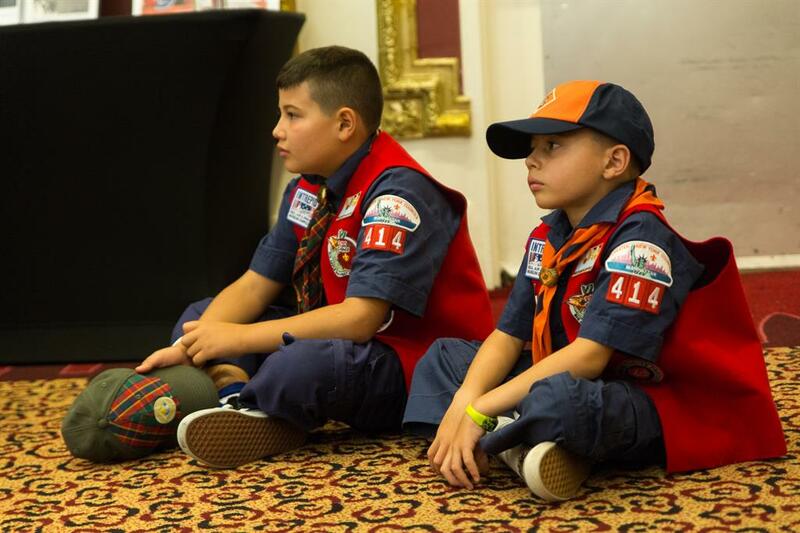 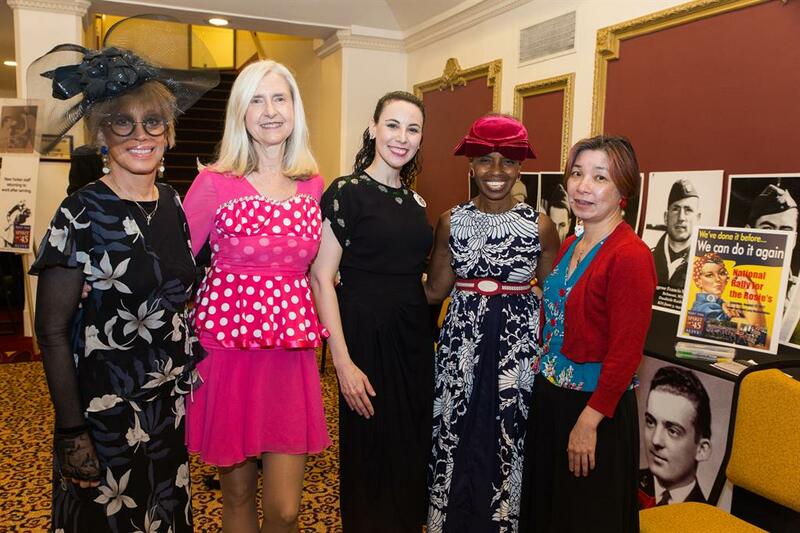 On the evening of August 12, the Spirit of America's Greatest Generation was celebrated with a once-in-a-lifetime evening event in the ballroom of the historic New Yorker Hotel to celebrate the 72nd anniversary of the end of WWII in 2020. 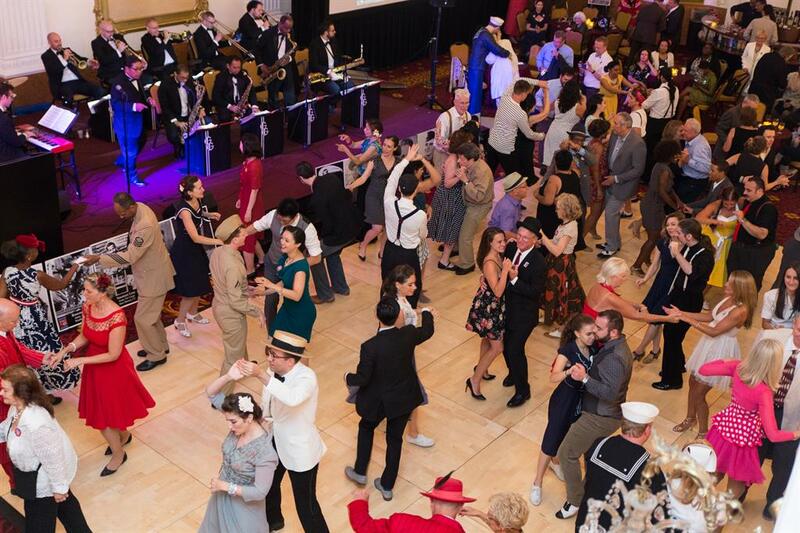 More than 200 guests danced to the authentic Big Band music that inspired the heart and soul of the young men and women of the WWII generation, performed by George Gee Swing Orchestra. 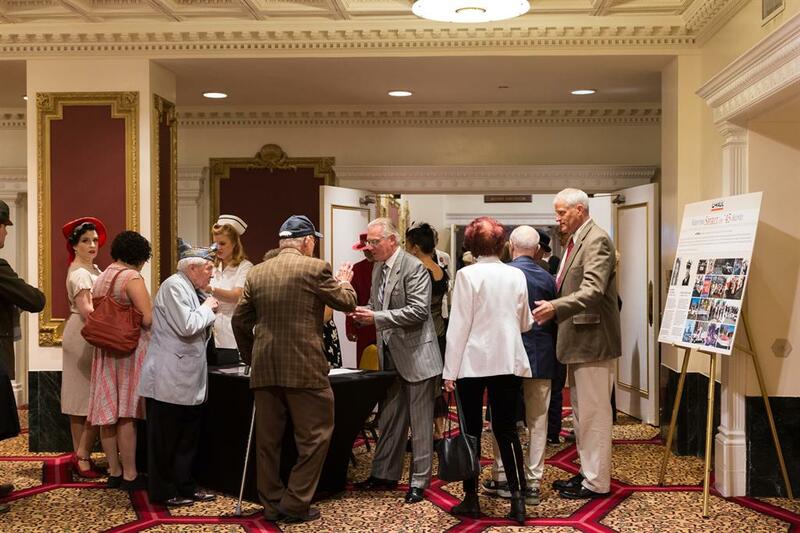 The evening began with a "Heroes Reception" featuring a panel discussion led by Prof. Ken Jackson of Columbia University and WWII veterans Abner Greenberg, Luke Gasparre, and Alan Moskin and Elinor Otto and Mae Krier, who worked on the Home Front as "Rosie the Riveters." 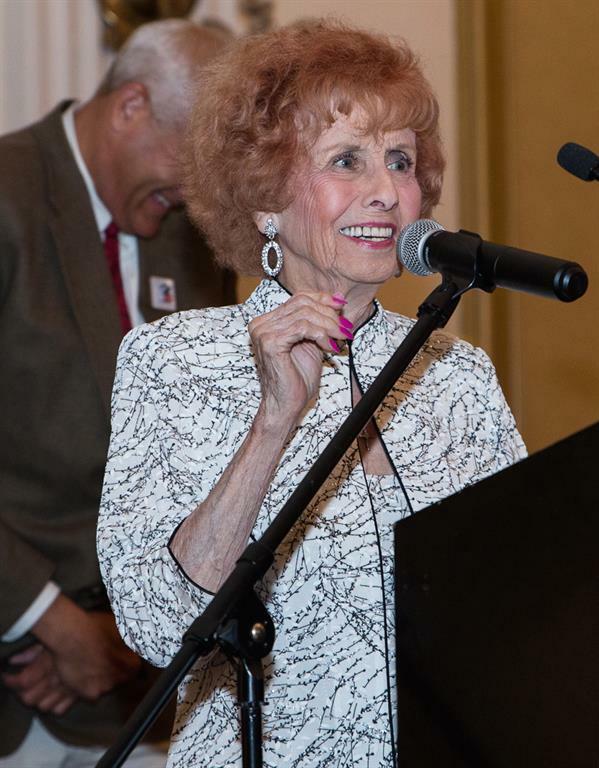 Message from Anne Roosevelt, grand daughter of Franklin and Eleanor Roosevelt set the tone for the evening with a reminder of the compelling vision of President Roosevelt's "Four Freedoms." 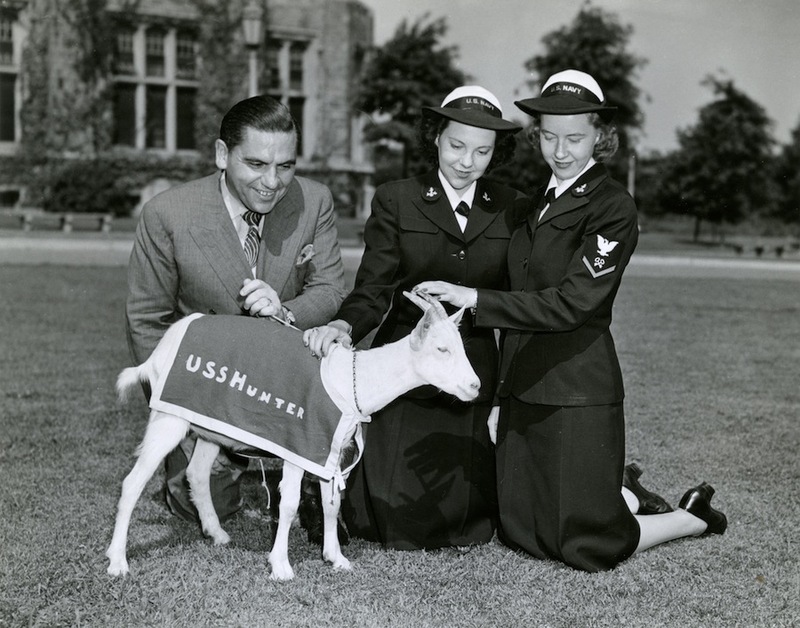 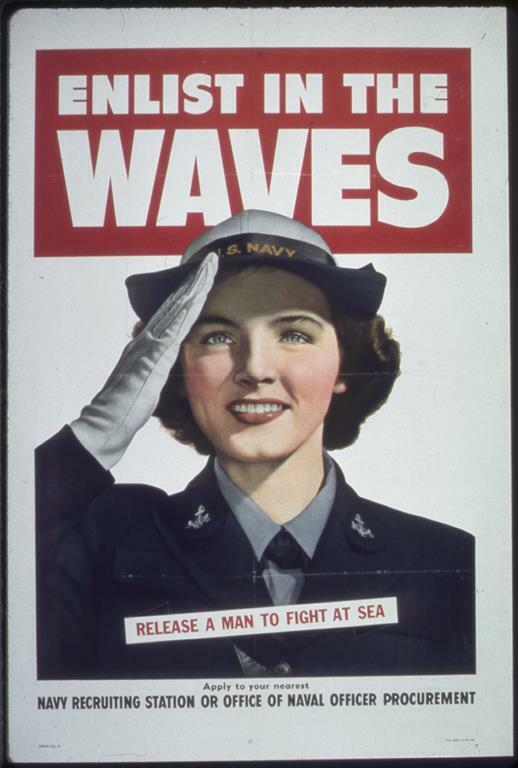 A highlight of the evening was a champagne toast to the women who served in uniform during WWII, including the WAVES and Coast Guard SPARS, many of whom were trained at New York's Hunter College. 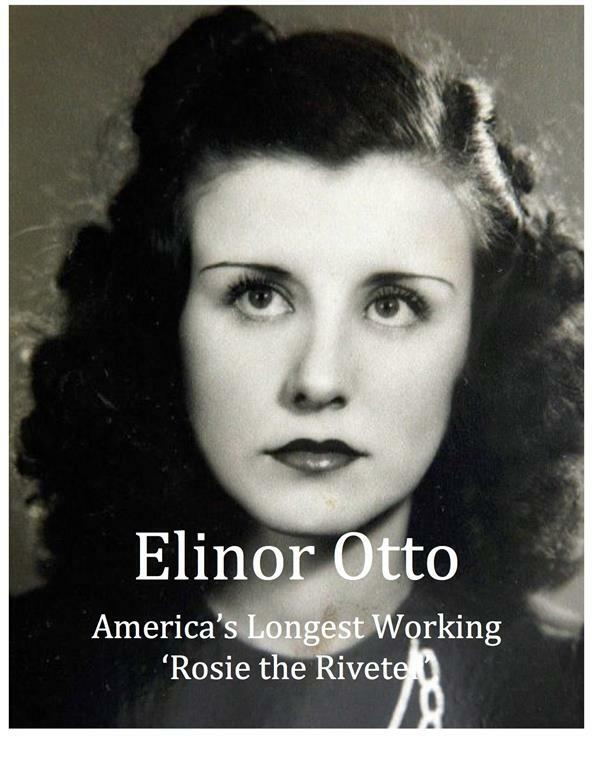 Elinor Otto, 97, "America's Longest Working Rosie," led a Salute to the Home Front as part of a nationwide Rosie the Riveter Rally that being promoted each year on Spirit of '45 Day weekend by the National Park Service. 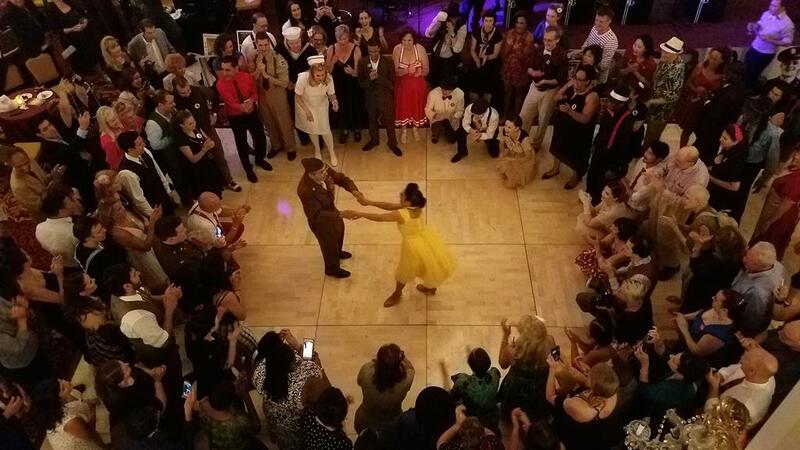 The cast of the Tony Award winning musical Bandstand came over after their evening performance. 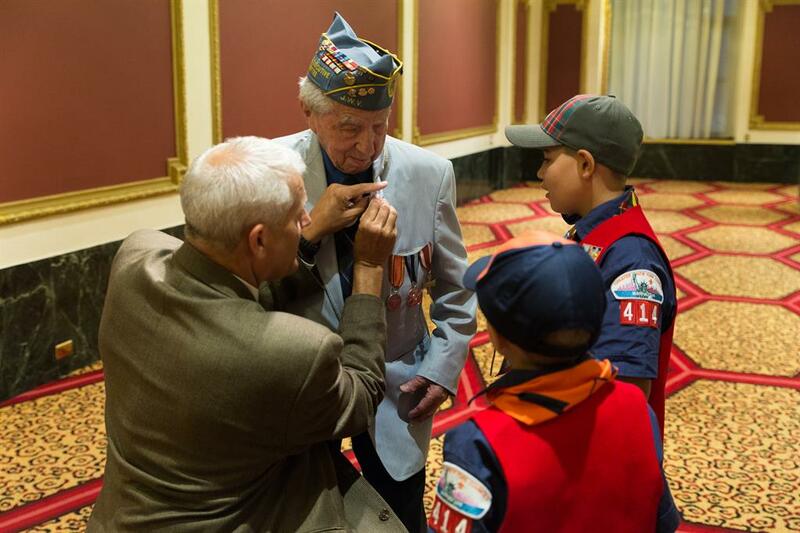 The evening concluded with a video tribute to the Greatest Generation and "Taps" performed by Frank Hughes of Bugles Across America. 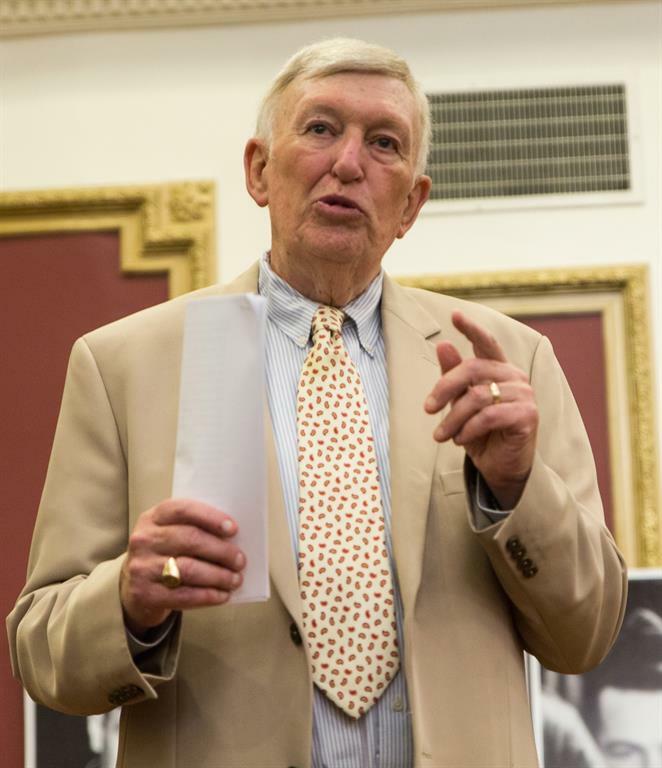 We thank U-Haul International and HISTORY for their support and are grateful to acclaimed artist Seward Johnson for the use of his sculptures depicting the famous "Times Square Kiss" and icon "Rosie Pose" for the evening. 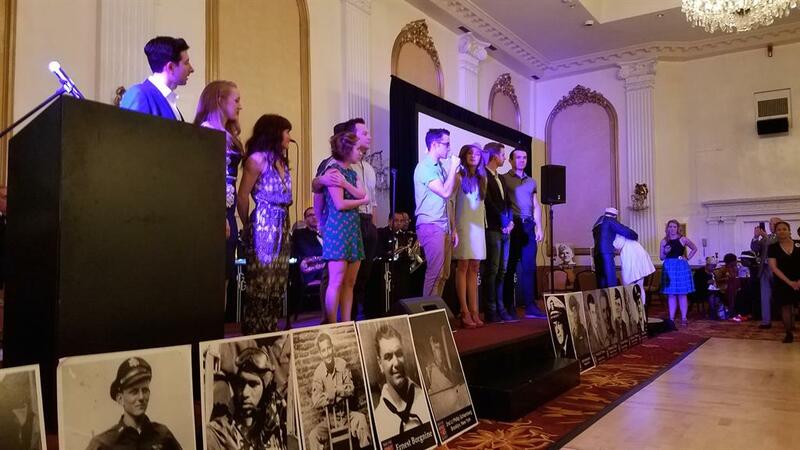 Special thanks also to Theresa Werner, James Martin, Cole Kleitsch and Guy Albanese for their help in making the evening such a great success. 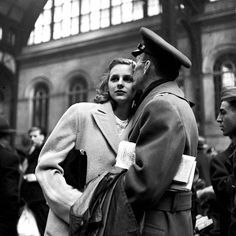 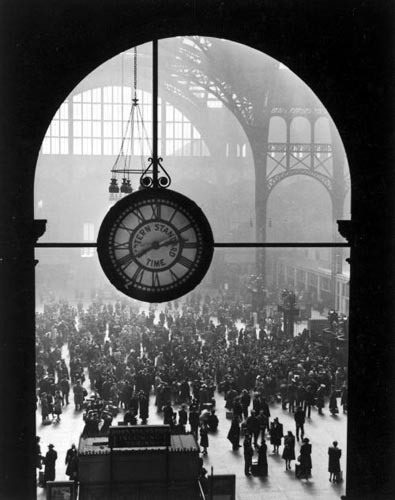 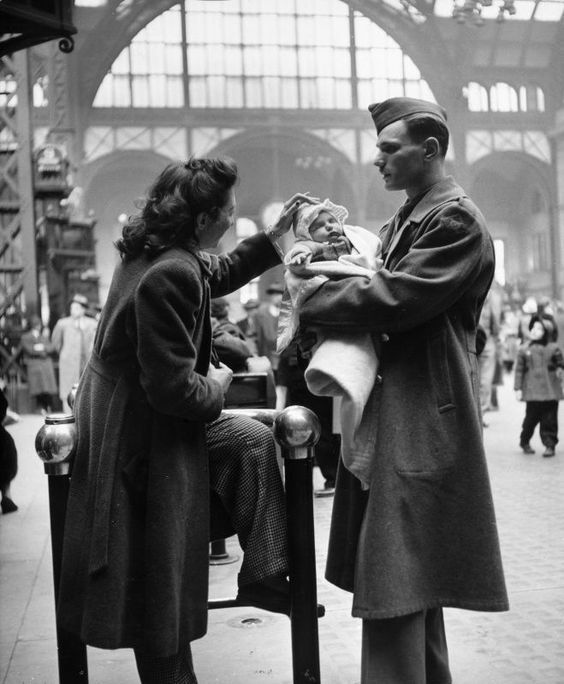 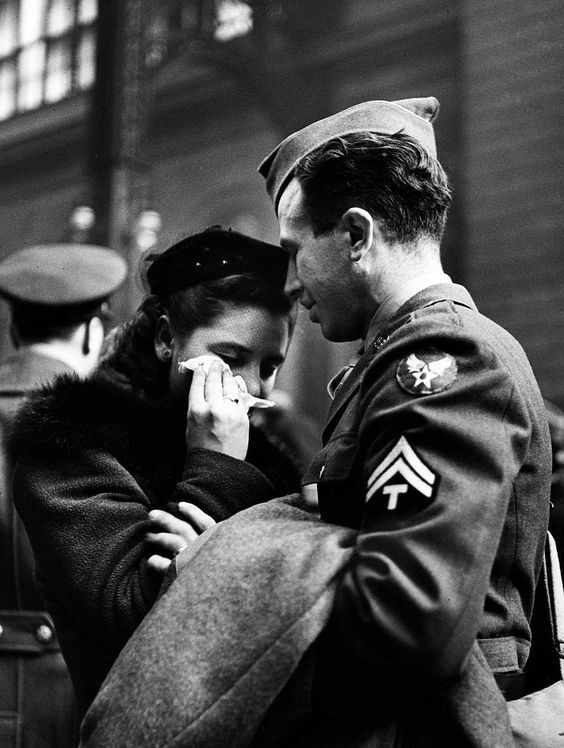 Photos taken in New York's Penn Station by Alfred Eisenstadt, who took the iconic photo of the sailor kissing a nurse in Times Square on August 14, 1945, the day WWII ended. 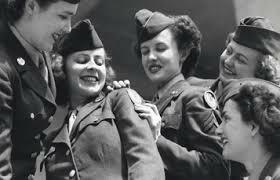 Many participating groups around the country organized similar Spirit of '45 Day events and activities featuring Big Band music, swing dancing and WWII re-enactors dressed up in uniform and vintage '40's style Home Front attire.